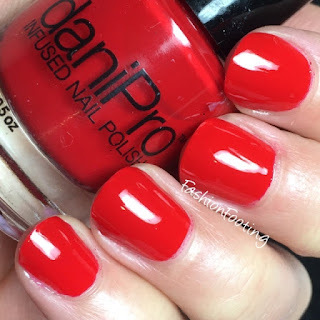 Fashion Footing: daniPro Nail Polish - Swatches! Today I have some polishes from a new line called daniPro, a line created by a podiatrist, and named after his daughter, Danielle. 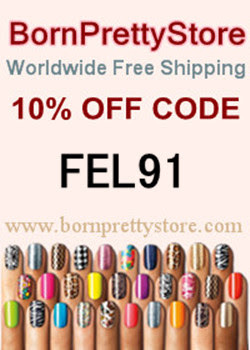 These polishes are infused with Undecylenic acid and are free of formaldehyde, formaldehyde resin, DBP, TPHP, and toluene. First is My Girl. This is a medium bright pink and was opaque in two coats but was a bit streaky so I did a 3rd. This was quite shiny without topcoat but I did use the topcoat they sent along and it was quite shiny! The formula was good though, no running or pooling! Next is First Kiss. This was another really shiny polish and opaque in two coats, plus topcoat. This also had a nice formula! 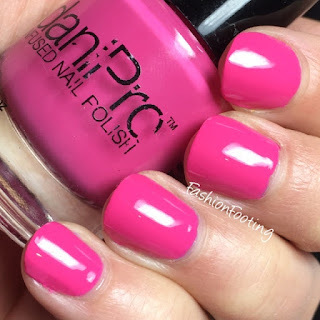 These polishes are available at danipronails.com and retail for $18 each.